First Gold in the Olympics goes to a Czech! 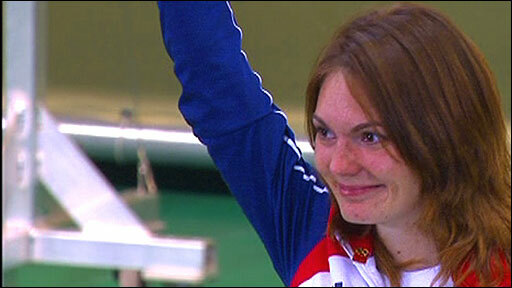 Katerina Emmons (she's married to an American shooter) of the Czech Republic had the honour of winning the first gold medal of the Beijing Olympics in the women's 10m air rifle event. Wonderful!